I recently had the opportunity to hear a talk by Consulting Head of School, Tom Little, from Park Day School. Tom and I were co-teachers for two years back in the day, and he went on to serve as the Head of School for 28 years. Tom recently completed a sabbatical in which he visited progressive schools across the country. In this talk at Berkeley Rep, he shared some of his insights, which will be the focus of a book that he is currently working on. At a recent lunch, I asked Tom a couple questions about progressive education and afterschool. Q: How do you define progressive education? A: I define it in three parts. Progressive education starts with the notion that we are preparing students for their active participation in their democratic society. To me, that is really fundamental to students' experience in school and throughout their whole educational experience in afterschool. That to me is primary. 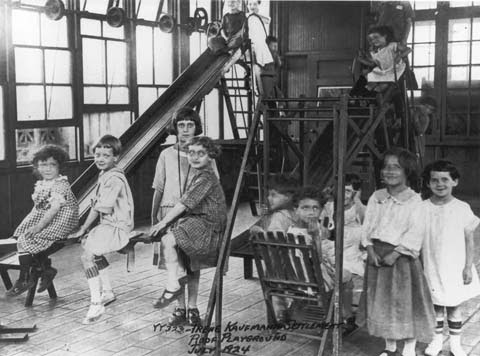 The second component of progressive education is that it starts with the experience of the student - that comes under the category of student centered or child centered approach where instead of having the curriculum and the subject matter as the center of gravity in an educational setting, what you have are the interests, abilities, capabilities, and strengths of the student. This is what should define the material and curriculum content that is going to be administered in an educational setting. It's a different center of gravity where the interests and proclivities of the child should direct where the learning will go. Third, is the historic abiding commitment to social justice. Progressive education is, at its heart, a part of a movement that holds dearly that there are injustices that occur in the world and that is the responsibility of our educational establishment to be exposing students to the realities that exist in their society and the world. Further, to make a commitment, within their educational program, to consider how we resolve these injustices. Q: Does early afterschool have roots from progressive education? A: The progressive education arose during a time when the progressive political movement in this country was underway. The legacy goes back into the late 1800s. Settlement houses in Chicago and NY, even some of the west coast as well, were built upon a social justice mission and an abiding commitment to resolve them. And, we all know that the settlement houses offered important out-of-school experiences for young people. The inextricable link between the political movement and progressive educational movement has sometimes been at the heart of its glory and sometimes been its achilles heel. I think over the century the progressive educational movement has tried to extricate itself at times from the association with the political movement. But we know that its foundation is really in the philosophy of the political system. At the heart of it, it seeks to be a full ranging approach to education well beyond the school site, well beyond the curriculum. So even today in the Harlem Children's project, we can look at it as a progressive movement - even though some of the pedagogy may be traditional. If you look at those efforts, they bring together health care, afterschool care, and prenatal care. There have been times in its history that the progressive education movement could have paid a little more attention to learning outside of school. It became more tied to the curriculum and attached to schools. But true progressive education speaks to learning more far reaching - learning beyond the school house. Q: Can you recommend three books that better help us understand progressive education? A: To understand the early history, Transformation of the School by Lawrence Cremin, offers a definitive history between 1870 and the 1950s when the progressive education association met its demise. It is a very accessible book written in the 1960s. 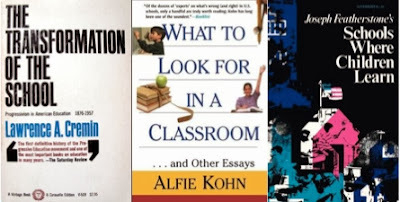 Second, What to Look for in a Classroom by Alfie Kohn, is a very practical book for a teacher as it lays out a nice template of what you would find in a classroom or school. Third, Schools Where Children Learn by Joseph Featherstone. A classic, beautifully written book that outlines some of the history of progressive education but talks more in depth of the nature of child-rearing and how the ancient philosophers embraced this philosophy. Q: Are the Learning in Afterschool & Summer (LIAS) learning principles aligned with the principles of progressive education? A: The new era of 21st century learning which combines the LIAS principles - analytical thinking, collaboration, communication - first I think they find a lot of their historical roots in the philosophy and in the pedagogy of progressive education. In some ways its a new vocabulary that we're finding, and I think it really nicely defines where education has to go. It puts education in a new context that is more palatable I think for people. "Progressive Education" can be alienating for some. When you're talking about expanding horizons, looking at students differently and thinking about how they'll be engaged, I think that's where education is going nowadays. This is at the heart of the new common core standards. But I think the common core pedagogy is far from being implemented because it is likely to take years to train teachers and fully implement the curriculum and programs. The whole mindset of education is being switched around. I do believe that the LIAS principles are aligned with those of progressive education. 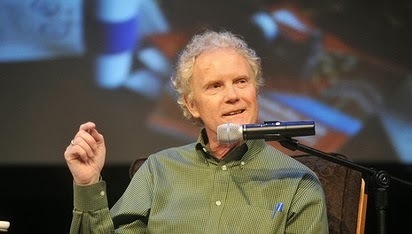 Tom Little is a founding teacher and the Consulting Head of School at Park Day School in Oakland, Ca., and the current President of the Board of the Progressive Education Network. During the months of February and March, 2013, Tom toured the country visiting over 40 progressive schools and studying the current state of Progressive Education in America.